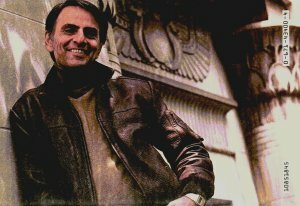 Carl Sagan was one of my heroes when I was growing up. His hit TV show 'Cosmos' was truly inspiring. Probably one of the reasons why I was drawn to science in the first place. My copy of his eponymous book was a school prize, still on my shelves. He came up with some great ideas, many of which were highly imaginative and, let's be honest, pretty speculative. It was part of his broader appeal to push the boundaries of possibility, particularly regarding the potential for extraterrestrial life. Later in his life, he seemed to become more conservative, more sceptical, more apprehensive about the darkness of superstition. These are natural changes as people age, of course. I assumed that Sagan had lost that early zest, but I was wrong. Having read this revisionist book, I realise now I was wrong about several things. I always knew that Sagan had collaborated with the Russian scientist I. S. Shlovskii on a book entitled "Intelligent Life in the Universe" back in 1966, but I was unaware of the so-called Stanford Paper, which is the central plank of Zygutis's book. The Universe is more than three times older than our Sun. Life had a chance to get going long before the Sun even sparked into life. Interstellar travel, argued Sagan, was perfectly possible over long time periods. Aliens who survived their technological age would cultivate longevity, and then the capability to make the best of it through interstellar travel. So, the odds are, he argued, that aliens visited the Earth frequently during its geological lifetime, and probably during the historical period, too. 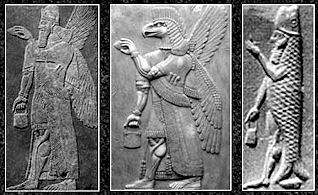 It follows that if you want to look for clues of an alien presence, the best place to start is right here - in mythological accounts from ancient history. This, then is the crux of the argument in his 1962 paper, sponsored by none other than NASA. What is more arguable is whether this speculative vision was consciously the subject of a cover-up by the scientific powers-that-be? Sagan's work in the early 1960s evidently ruffled some feathers, and provoked some 'tutting' from his peers. But was he effectively muzzled? Or was the peer pressure enough on its own at this crucial moment in his scientific career for him to shelve his ancient E.T. hypothesis and instead embrace more mainstream thinking? The author thinks there was a concerted effort to shut Sagan up. I remain unconvinced by this argument. I've seen firsthand how powerful scientific peer pressure can be, and frankly, it's enough to do the trick! Nonetheless, the fact that Sagan actually thought this way is something of a revelation, at least to me. Others may be similarly startled to read of this. But perhaps to claim that the book will generate some kind of revolutionary movement which will rock the scientific establishment, as the author claims, perhaps a little arrogantly, is misplaced. Arguments will readily be made that Sagan was young when he wrote these ideas up, and perhaps rather naïvely idealistic. The author counters these arguments well, by demonstrating how Sagan continued to develop similar ideas in later life - just more cautiously. Nevertheless, it's clear that Sagan had been largely tamed by then, whether through peer pressure or a more overt threats to his career. Personally, I'd argue that once a professor has gained tenure, that's when they can really speak their mind. Sagan reached that point back in the 1970s, but still tended to strike a sceptical note when discussing theories of ancient visitations by alien civilisations. His more maverick inclinations were simply presented in a more grown-up and subtle manner. An example of this is his examination of the 'Nemesis' concept in his co-written book "Comet" - with his then wife Ann Druyen - where he includes an imagined mythological account of a visitation of the body, from an anthropological perspective (1985, pp301-5). See http://www.darkstar1.co.uk/ds5.htm for more details. Combine that with Sagan's radical ideas about the Apkallu, and his Winged Disk photo on the back cover of his novel 'Contact', and you can start to see real Sitchinite-type thinking going on here. Which leads me to another issue with "The Sagan Conspiracy". Yes, I totally see why the author wants to distance himself from Erich von Däniken. But it's less clear to me why he lumps Zecharia Sitchin's oeuvre into the same pot. After all, what Sagan proposed bears a far greater resemblance to Sitchin's material, and predates it by at least a decade. Yes, there are many issues with Sitchin's claims, but at its core it's essentially providing the same insight as Sagan, but with a much greater level of detail (which, in itself, lends itself to more detailed examination and sceptical counter-argument). As a Sitchinite revisionist myself, I was a little disappointed that the author was so dismissive of 'The Twelfth Planet' material. And that was when he even commented upon it, to be honest. He mostly perceives of it as 'tabloid' writing - I defy "tabloid readers" to get through even a single chapter of Sitchin's dense, scholastic material! I say this because, to some extent, the author's argument about embracing a more scientific perspective about this stuff is well made (although it flies in the face of the current lambasting of mainstream thinking by conspiracy theory in Western society). But he runs the risk of throwing the baby out with the bathwater. Sitchin may have been guilty of poor referencing and incorrect interpretations at times. But that doesn't mean he wasn't on to something. Indeed, Donald Zygutis is himself plainly guilty of hyperbole throughout this book (which is commercially pitched at the conspiracy crowd, ironically). So, it's rather a case of the pot calling the kettle black. Surely, what's important is not whose camp you affiliate with, but the ideas which are being explored. For the author, the importance is more what constitutes evidence to back up the concept of ancient alienism. He argues that mainstream science will only take ancient alienism seriously if traditional scholarship is brought to bear on the subject. On the face of it, this seems a reasonable position to hold... until one begins to consider the acute gradient of the playing field. Sagan's famous saying that 'extraordinary claims require extraordinary evidence' provokes the question of what actually constitutes 'extraordinary evidence'. As Stanton Friedman responds, surely there is just evidence? The problem is contextualizing that evidence, and being more ready to dismiss it when the evidence points in the wrong direction. Science then slips quickly into doctrine. Ufology is plagued by this problem - no evidence is extraordinary enough, it can all be dismissed one way or another if enough debunking effort is made to distort the context. So, although the author's argument on this seems reasonable, and is a banner around which many of us should happily rally, I'm not actually convinced it would work. Paraphrasing Friedman once again, there's little point in bothering them with the facts, their minds are already made up. This philosophical distinction is an important one. Not because it just questions the reality of how Science is enacted, but also because one has to go into this with one's eyes open. Galileo Galilei would have nodded his recognition dejectedly, I'm sure. Sagan realised early on, I think, that there's no point martyring himself. Like the esoterist heretics of old, he chose to work within the system and feed his ideas out through symbols and ambiguities. Tantalizingly, at the end of Sagan's life, he seemed on the cusp of stepping out of the shadows once again, but his illness took him before his last paper could be completed. I found the general thrust of this book illuminating. My gut feelings about Carl Sagan have been fortified by the evidence contained in this work. I have written about these before (as referenced above) but did not produce the same level of evidence that Donald Zygutis has provided. However, the book does need serious editing. There's a lot of repetition which could have been easily avoided through use of a fresh pair of eyes. Instead, I would have liked to have seen a lot more background material about Carl Sagan's other writings (including 'Contact', which itself develops some of these themes). Like I said, there are other ambiguities that could have been explored further in the light of what the book has demonstrated. The book had some typos (common enough these days, but certainly avoidable). These were my favourites: "...books that advance the basic tenants [sic] of ancient alienism..." (p108) and "...there are about one billion Earth-like plants [sic] in our Milky Way Galaxy..." (p175). Despite these issues, I think that Donald Zygutis makes some important points, and would recommend the book to anyone trying to forge a new path through the morass of ancient alien theory. I find myself internally emphasising some of his points of principle as I go forward with my own work. As we look around us more broadly, Sagan's warning of a demon-haunted world seems more relevant than ever. 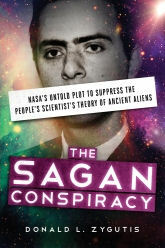 Subtitled "NASA's Untold Plot to Suppress the People's Scientist's Theory of Ancient Aliens"